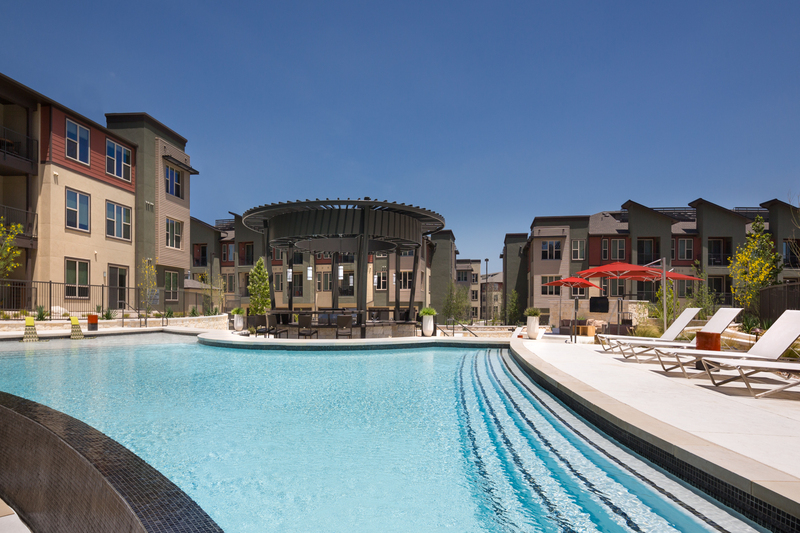 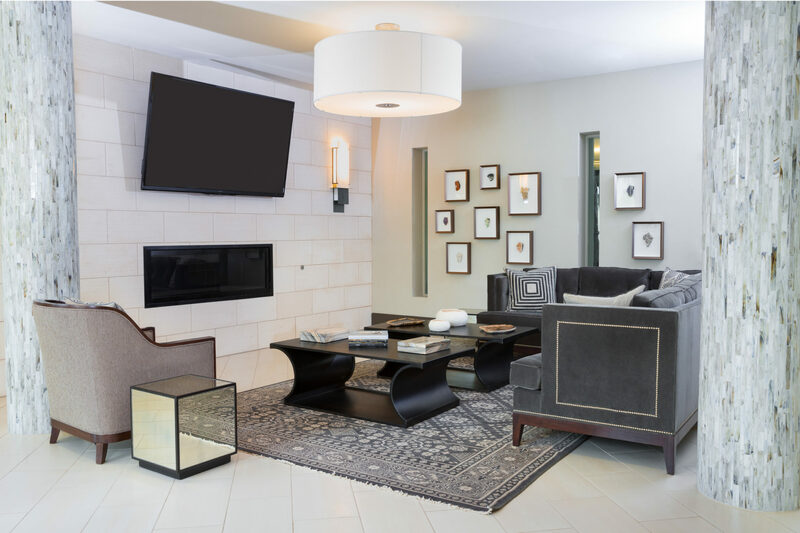 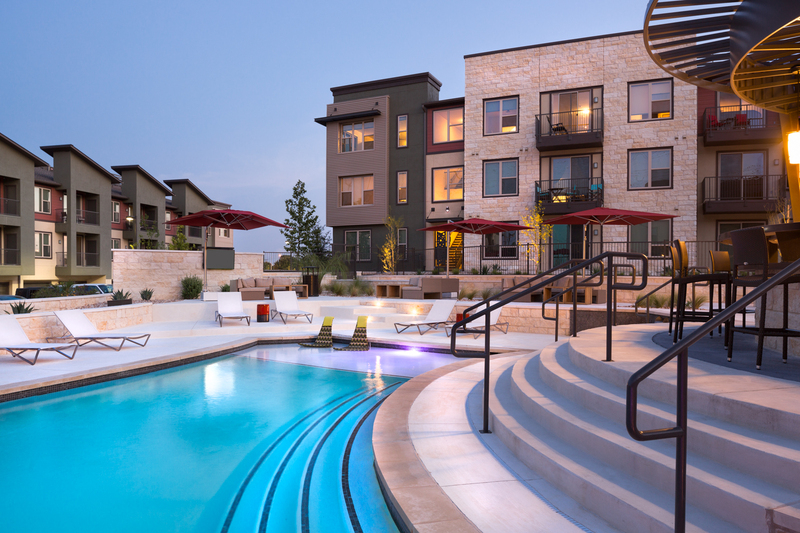 Located near the new upcoming area of Austin’s Domain Retail District, The Addison provides a unique blend of unique modern architecture with resort style amenities. 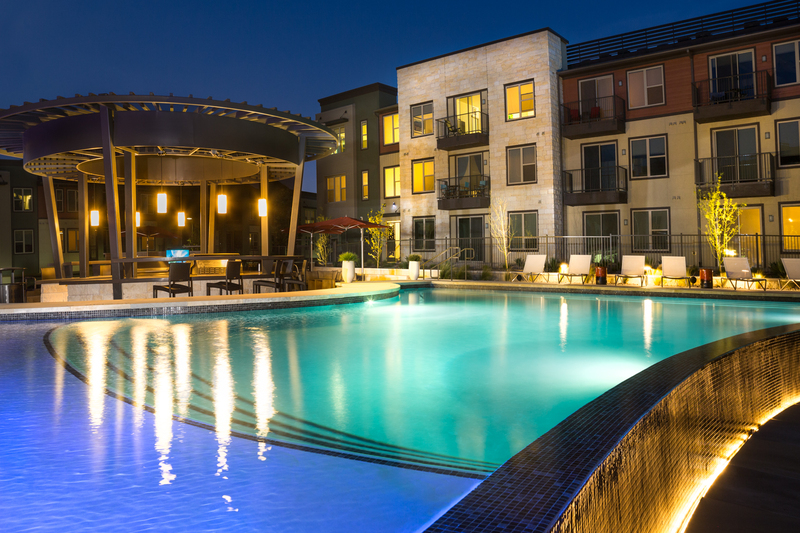 From the dramatic corner element, it directs one’s view through the Leasing and Amenity spaces along an axial path to the pool courtyard featuring a 360 degree pool bar pavilion. 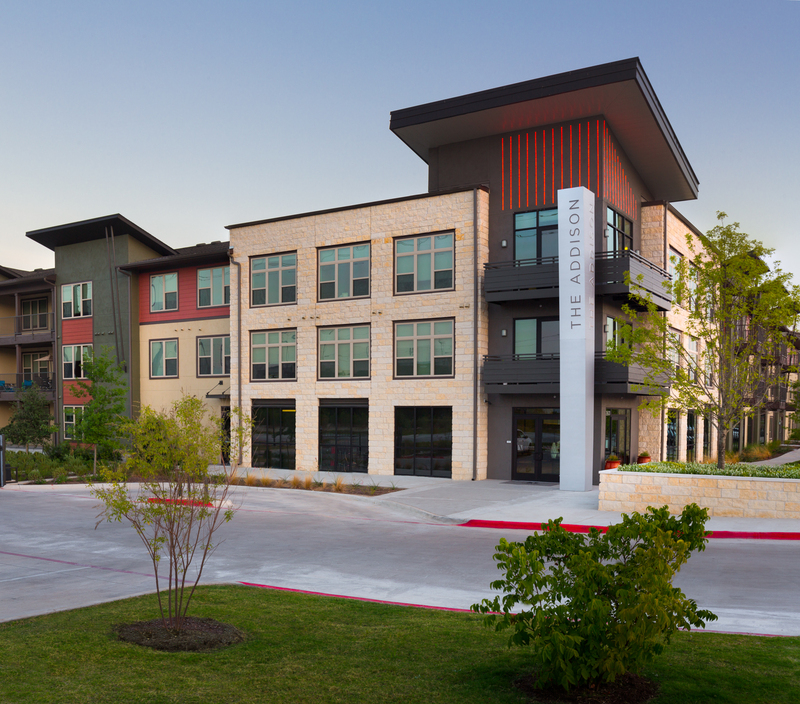 Architectural tones include a unique pallet that blends in the soft Austin Stone texture with the vibrant and bold colors of Southern Texas.